A celebration of life for Christine L. Runyon, age 55, of Mentor, will be Saturday April 13, 2019 at the Spear-Mulqueeny Funeral Home 667 Mentor Ave. Painesville, from 2:00 – 4:00 PM. Mrs. Runyon was the daughter of Donald and Clara Lafleur, born on October 4, 1963 in Euclid Ohio. She passed away March 31, 2019 at Lake West Medical Center in Willoughby. Christine enjoyed spending time with her family especially her grandchildren. She was fond of home décor projects and making holidays spectacular. Her greatest accomplishment was creating a wonderful home for her family. 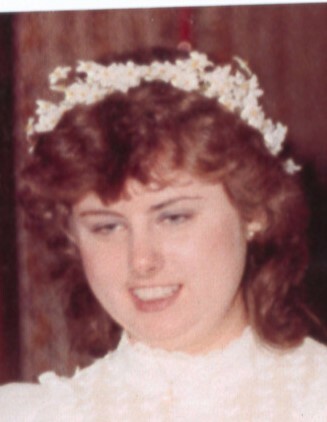 Christine is survived by her husband, James P. Runyon; son, Gage Daniel James (Kristen) Runyon; grandchildren, Tristen Jared James Runyon, Nathan Daniel Craig Runyon, and Aiden Robert Clyde Runyon; father, Donald Lafleur; step-mother, Shirley Lafleur; brother, Mark (Trish) Lafleur; brothers-in-law, Clyde (Amy) Runyon, Tommy (Jacquelyn) Runyon and Bill (Jeanie) Runyon. She also leaves behind many nieces and nephews. Christine was preceded in death by her mother, Clara Lafleur. In lieu of flowers donations may be made to James P. Runyon, to benefit Tristen, Aiden and Nathan Runyon, c/o of Runyon & Sons Roofing, 8745 Munson Road, Mentor, Ohio 44060.